* * * Dear Golden Bridge! I really had a good time in Great Britain and learned a lot. I was satisfied with my host families and my work placement such as the possibility of the intern nights where you could meet many other interns and talk to the supervisors: Consequently you were really in contact with them and they were always ready to support!" - Kirile Tatunashvili, Tbilisi, UK Professional English Programme participant. * * * It was more challenging and pressuring than what I expected. I found myself liking the internship, in fact, loving it. After a couple of months of hard work, I was promoted as the Team Leader and then, I was offered the Supervisor's position. The internship program definitely opened the doors of opportunity for me in my chosen field and made me rethink a lot of things. Now, I'm sure that it does not matter if you start at the bottom, for as long as you put your heart into it, work hard, have good timing, and with a little luck success will certainly go your way!" Tamar Moseshvili, Tbilisi, UK Professional English Programme participant. * * * Now I am going to my home country, Georgia, with the best memories after 6 months in the United Kingdom. Besides the great work experience which allowed me to gain valuable international experience, I also learned to live in another culture and cope with a different environment. Through this excellent programme I had the opportunity to immerse and discover the UK culture from the inside"- Sophio Jgarkava, Tbilisi, UK Professional English Programme participant. * * * I am absolutely satisfied with my study and training here because I have already got a lot of valuable experience. After this training program, I will be able to offer to my future Georgian employers valuable UK-based management and communication skills. Some knowledge and view-points about British social and economic life will also benefit my prospects for a future career in Georgia, because business becomes more and more international." - Nino Ninoshvili, Tbilisi, UK Professional English Programme participant. * * * My duties included assisting servers with serving guests and preparing the restaurant for each shift. My expectations were met and I was not disappointed. Also, I had a lot of fun and enjoyed my position. The best part of my job was meeting a lot of different people from all over the United States. Also, learning new things about the restaurant business. 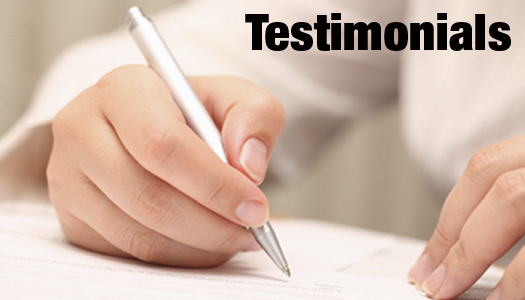 I enjoyed my work atmosphere and all of my co-workers were very nice". 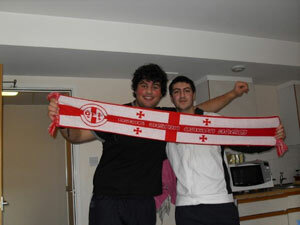 Mate Jvarishvili, Tbilisi, Work and Travel USA participant. * * * Dear Golden Bridge! This summer was simply amazing. I really want to say thank you for that. I had the time of my life. My placement was great. Fantastic people, and, although I worked as support staff, I took part in a lot of activities with other students. My placement was approximately 88 miles from New York City, so I had a chance to spend a lot of time there. And the best thing is that I have so many new friends from all over the world. Really good friends. I have so many memories. Thank you for the opportunity to spend the summer in the USA. Your agency really surprised me... everything was perfect. Stanislav Krimcheev, Tbilisi, Work and Travel USA participant. * * * My dear Golden Bridge staff! I am absolutely satisfied with my training here because I have already got a lot of valuable experience. After this training program, I will be able to offer to my future Armenian employers valuable American-based management and communication skills. Some knowledge and view-points about American social and economic life will also benefit my prospects for a future career in Armenia, because business becomes more and more international. I love you, Golden Bridge!" Anna Ayvazyan from Armenia, Internship Training Program USA. * * * I had a great time. I was working as a Shop Assistant at Lake Powell Resort, Arizona. The best part was talking with people who knew about Georgia and we were able to have a great conversation. Also, the managers were so nice to us. They treated us as family and gave us all the comforts with the housing and work. They always helped us with any questions or problems that we had. Now I feel more sure of myself and can talk in English anywhere and anytime. Next season, I am coming back with my friends! Thank you, Golden Bridge, for everything! You are the best! " Nelly Gasoyan, Tbilisi, Work and Travel USA participant. * * * "Dear Golden Bridge! This was my first experience going abroad completely on my own, and it did take some adjustment, but it was also the most fulfilling experience abroad I have ever had. I am very glad that I had the opportunity to do this Work and Travel Program. I feel that not only my language skills, but that I, as a person, have benefited a great deal from this experience." Bakhar Neimatova, Rustavi, Georgia, Work and Travel USA participant. * * * "America was fantastic! My placement was well organized, the employers and employees were wonderful people. I will never regret, or forget, the whole experience and the awesome people I met! Thank you for your professionalism, GOLDEN BRIDGE team! - Gvantsa Neburishvili, Rustavi, Georgia, Work and Travel USA participant. * * * Hey, Golden Bridge Center!!! I had the best time in the USA. One of my biggest concerns upon arriving was security of a place to live and a job. But someone met me at the airport and I felt very comfortable! The program is great. I wouldn't change a thing. The best part about the program was the friendly and willing attitudes the people at World Wide Workers had. They were always very friendly and tried the best they could to give me whatever information or help I needed. I wouldn't say there is a bad part about the program, it was great." - Ketevan Kachibaya, Tbilisi, Internship Training Program USA. * * * "In short, going to America changed my life. I know it's a cliche to say that, but in my case, it's true. Being immersed in another culture excited a quality in me I never knew existed. America helped me cultivate my love of other cultures and peoples. I've maintained a beautiful correspondence with my host family never have I met a more loving and open group of people and I'm aching to go back to visit them." - Iura Kochkin, Tbilisi, Work and Travel Program USA. * * * "Not only did I take care of small office duties, but I also worked on large research projects for clients. On a day-to-day basis, I learned general office duties as well as how to handle working under the pressure and supervision of more experienced employees. All of this experience, done in another country, has made my people skills stronger." Irakli Chkheidze, Participant from Tbilisi, Internship Training Program USA. * * * "Golden Bridge has lived up to all my hopes and expectations as a nervous parent sending her daughter off to a foreign land for the first time. Natia has experienced and learned so much while there! Thank you so much for everything!" - Participant's Mother from Georgia.